Carbonated water – Approximately 90% of Coca-Cola is water. The carbonated part is purified carbon dioxide, which gives the drink its “bubbles” or “fizz”. Did you know? 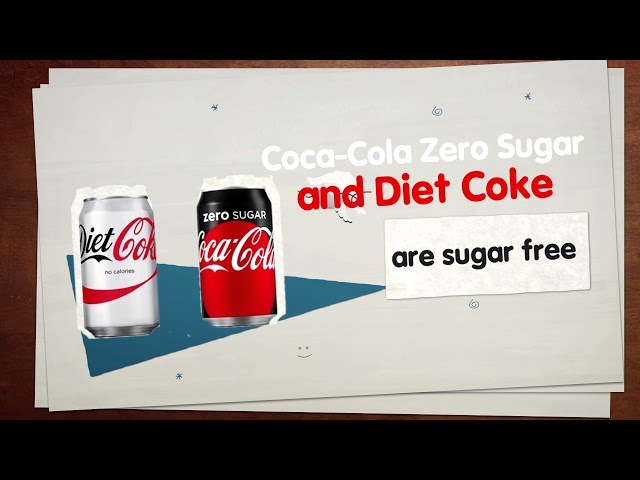 Our three colas: 1) Coca-Cola Classic, the original and iconic cola, 2) Coca-Cola Zero Sugar, which now tastes more like Coca-Cola Classic but without the sugar, 3) Diet Coke, which is also sugar and calorie free.